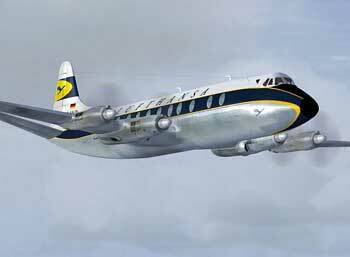 Fairchild C-119 "The Flying Boxcar"
It was during the 'Battle of Britain' that the Heinkel He-111 became most famous. 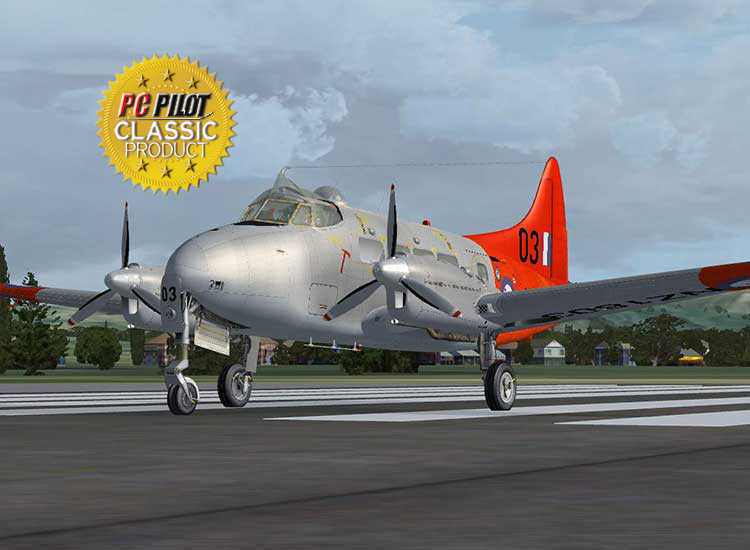 Now it's your chance to fly this iconic bomber. 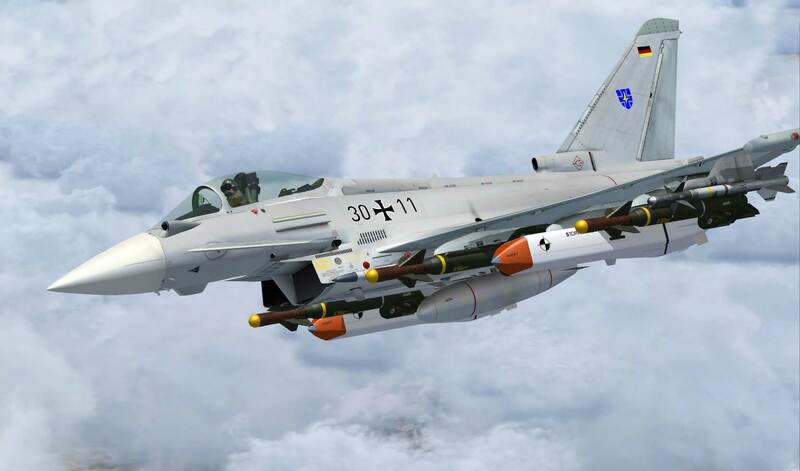 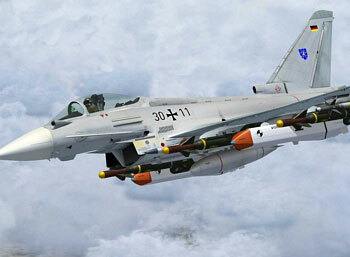 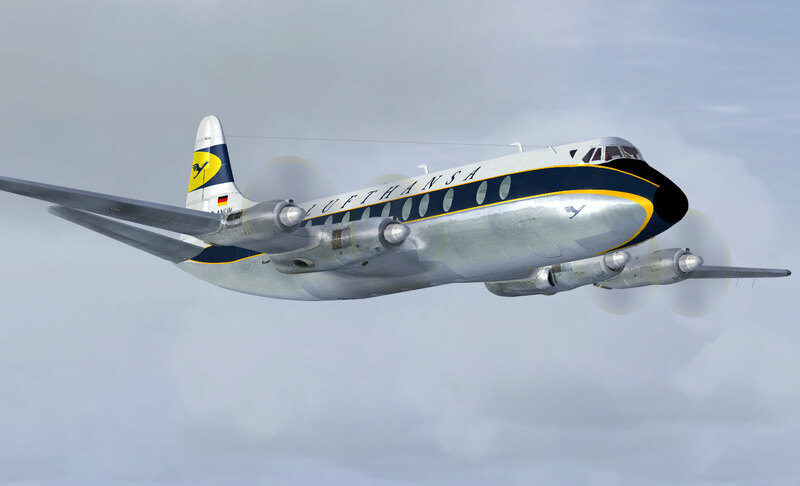 Available from the Heinkel He-111 P2 product page. 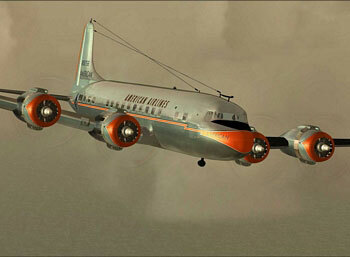 Available from the Fairchild C-119 'The Flying Boxcar' product page. 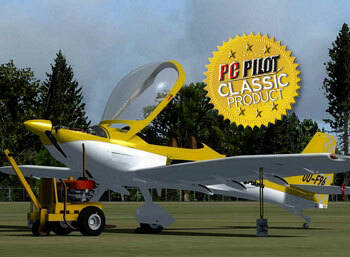 This is the famous “between the wars” aerobatic fighter from the 1930’s remade for the current generation simulators. 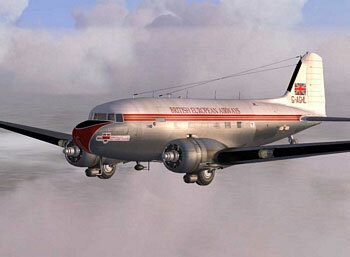 Available from the Bristol Bulldog Mk2A product page. 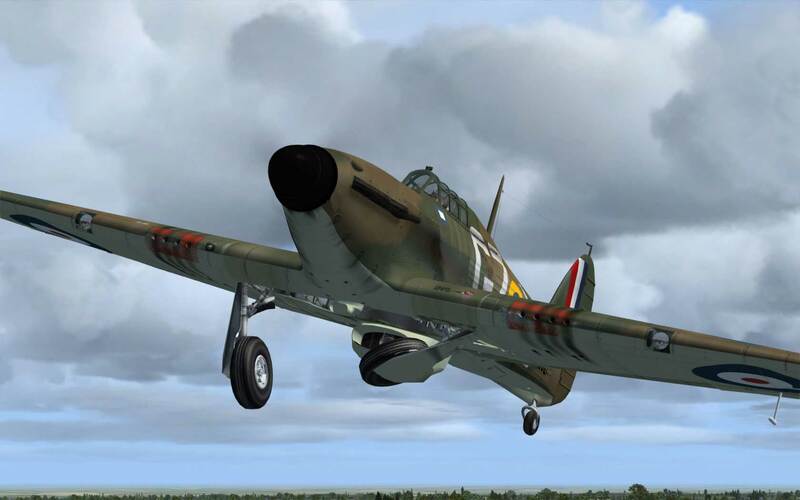 You will find the "Beast" a real hand-full to fly and if you enjoy a challenge in your virtual flying, the SB2C is guaranteed to deliver! 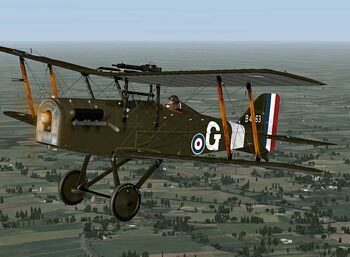 Available from the Curtiss Sb2C product page. 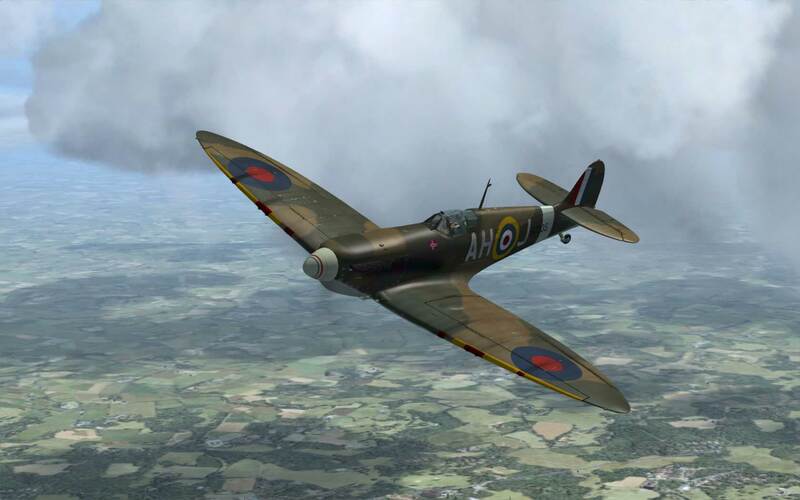 Affectionately known by many as the “Tiffy”, once refined and improved, the big Hawker became a formidable weapon used mainly for ground-attack and tank-busting duties. 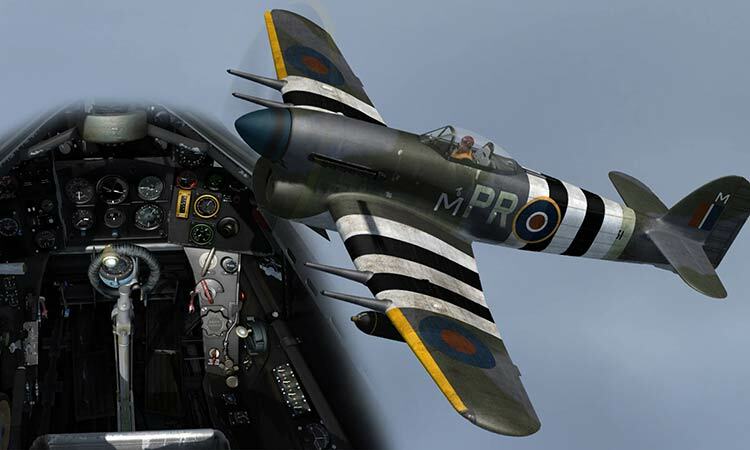 Available from the Hawker Typhoon Mk1B product page. 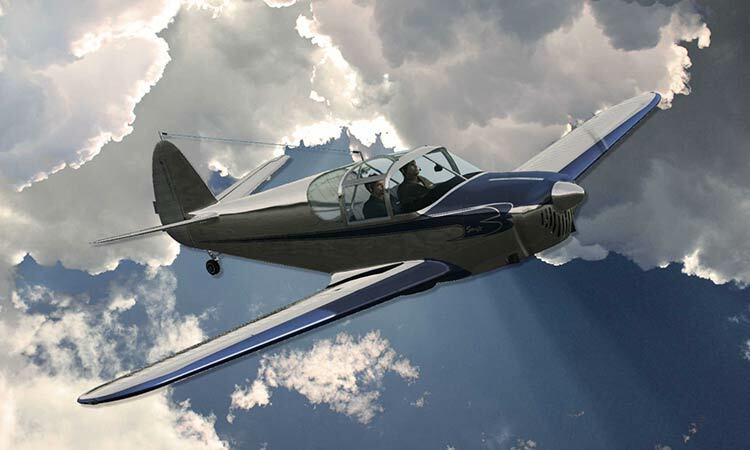 In the 1930's and 40's, Miles was a prolific producer of sturdy, lightweight and efficient light aircraft. 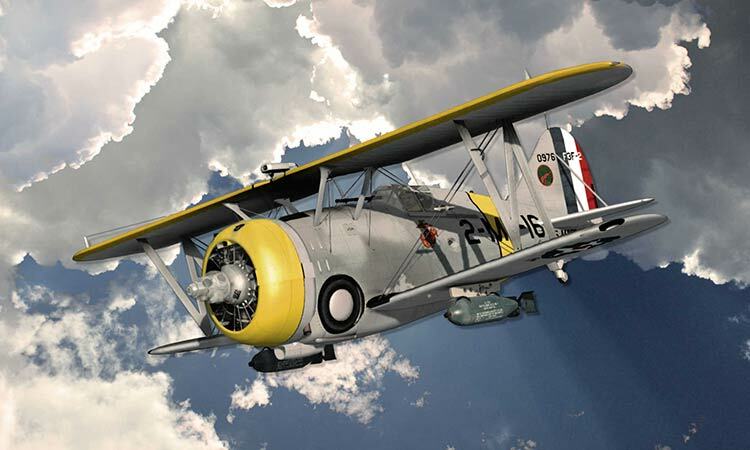 They produced cabin monoplanes and one-off racers to compete in the many air races of the period. 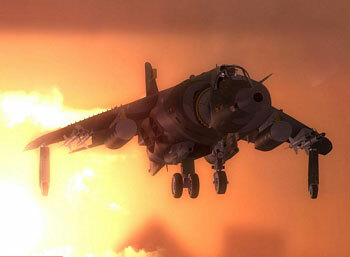 Available from the Miles Hawk product page. 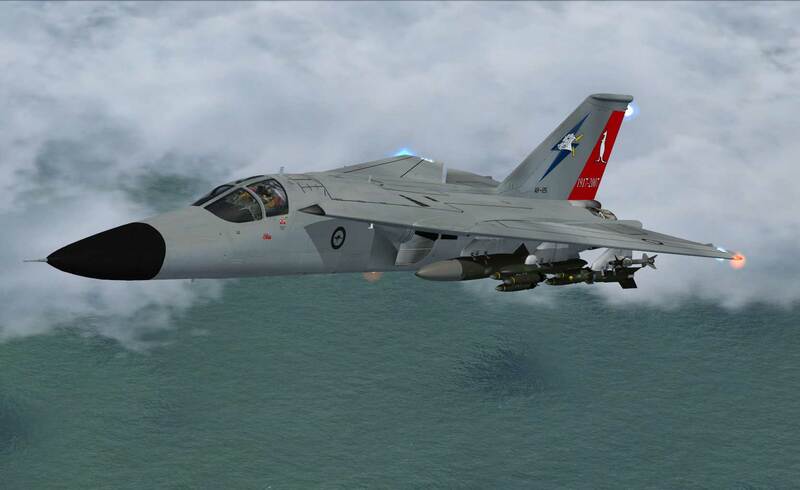 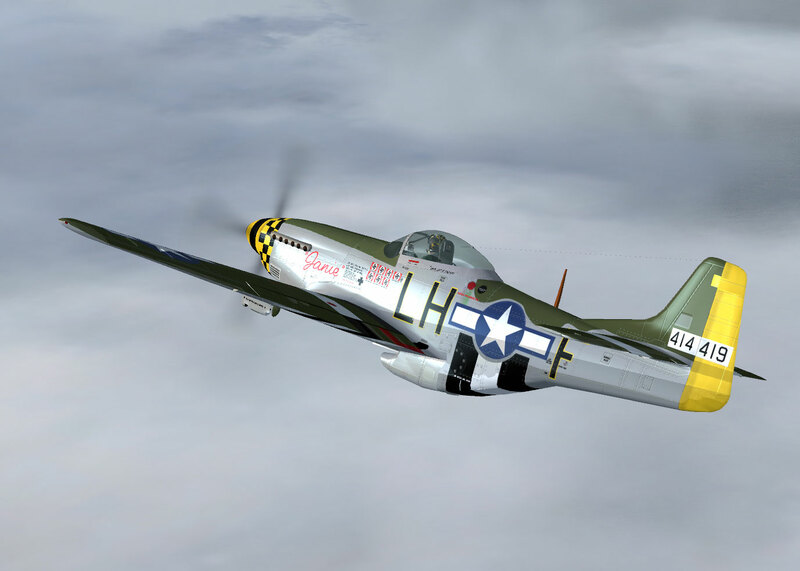 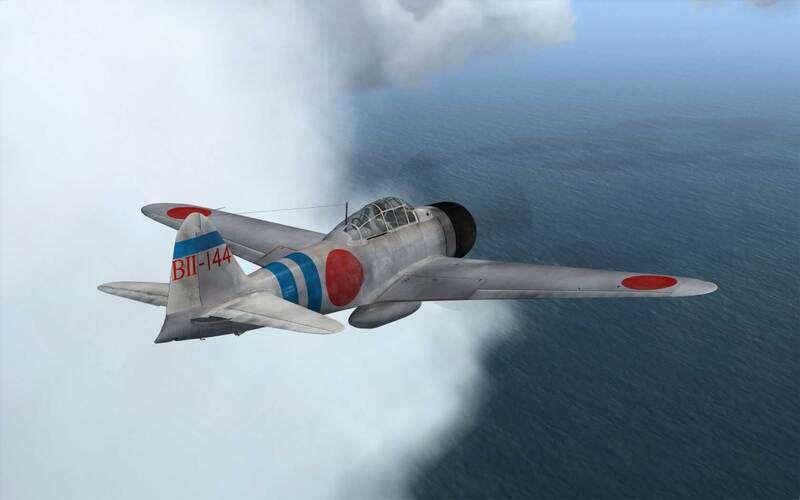 Modelled to take advantage of everything FSX has to offer, there are many unique animations and features such as operating upper and lower ball turrets, full crew at all stations including animated waist and tail-gunners, opening bomb doors and droppable bombs. 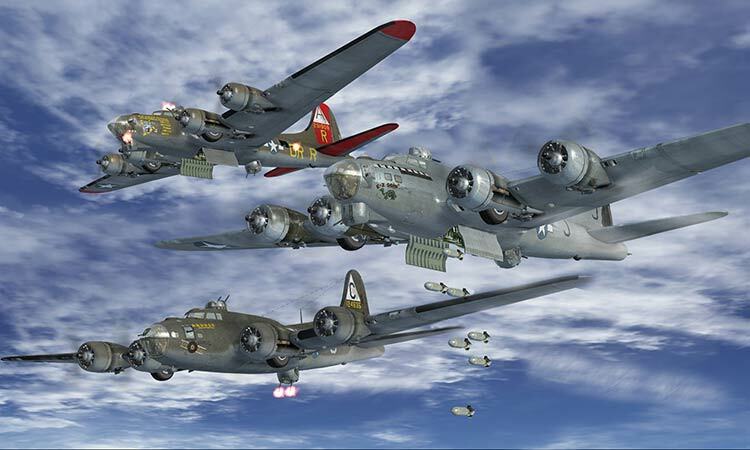 B17 Flying fortress product page. 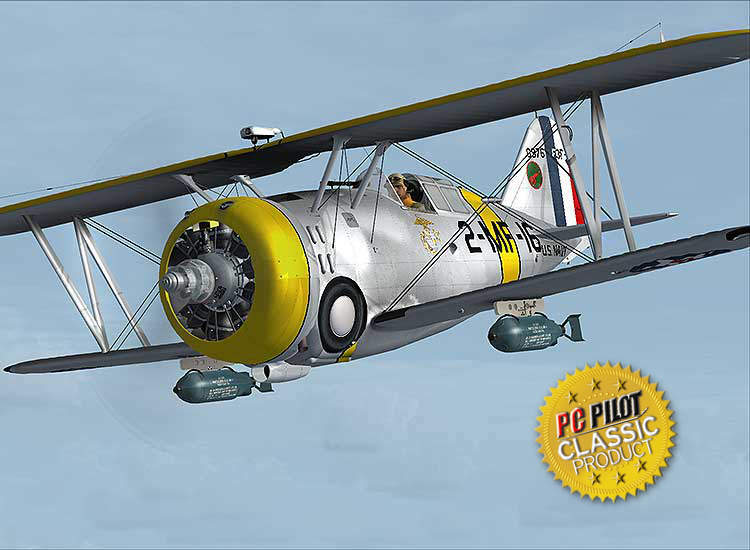 The Grumman F3F-2 is an aviation legend and very close to our hearts as it was one of the first simulations we built over 14 years ago. 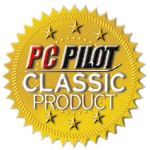 This is the re-incarnation of that first product with a modern twist. 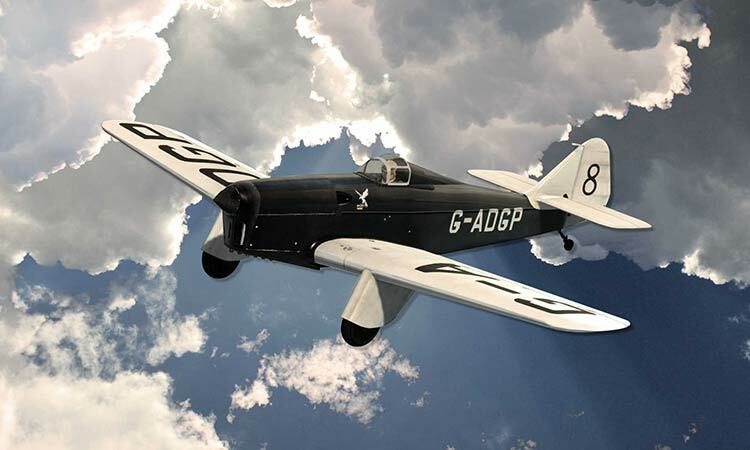 A much-loved classic GA aircraft the Globe Swift. 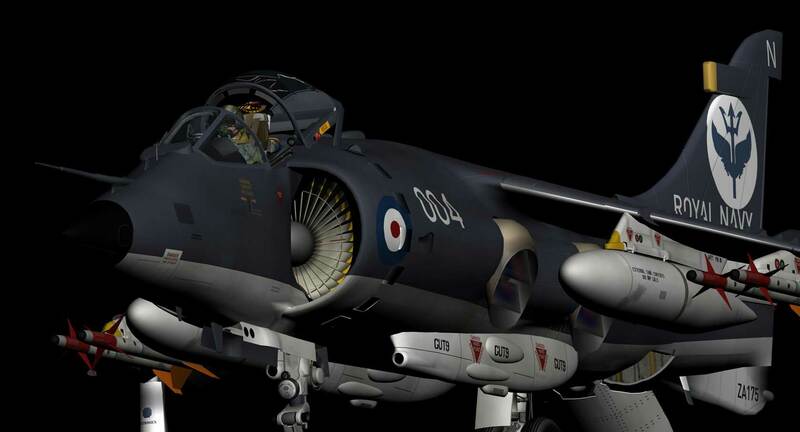 It has now been released and you can get all the details, in detail here... 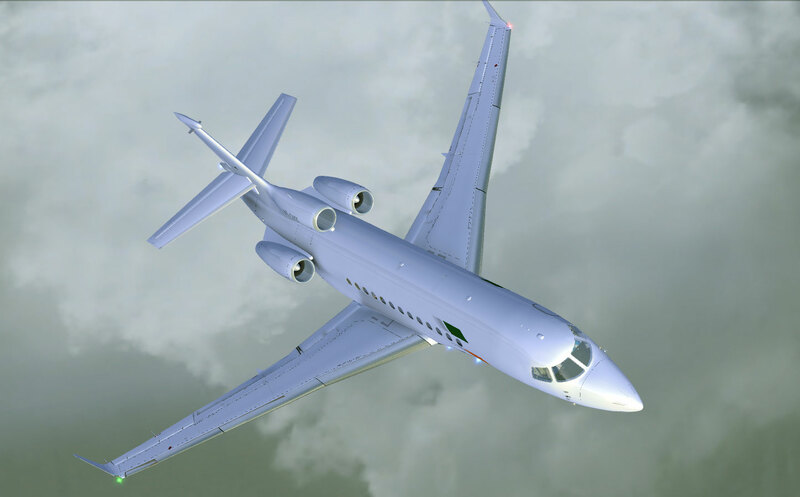 Swift product page. 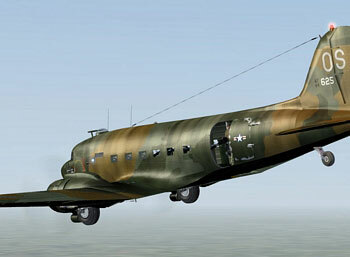 Despite its losses during the summer of 1940, the Heinkel HE 111 was constantly developed and improved in years to follow. The aircraft saw service in all the major theatres of WW2 and was used to deliver “Buzz-bomb” rocket propelled, guided bombs, torpedoes in shipping attacks and a vast array of other ordnance. 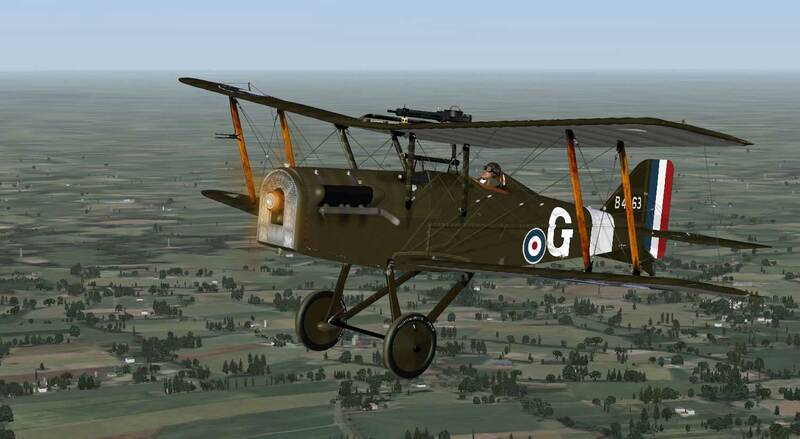 Two Heinkels, bolted together with a common centre wing and a fifth engine were called “Zwilling” and produced in small numbers to tow giant gliders. 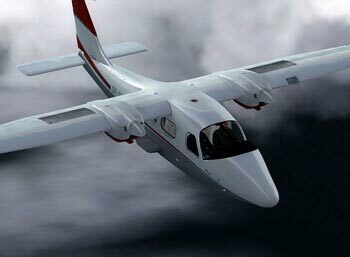 It's out now so for more information and pictures check out the product page. 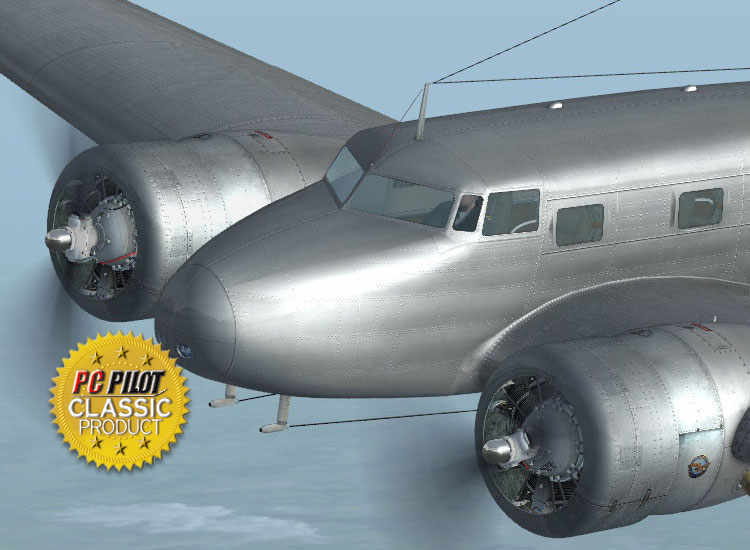 The "Flying Boxcar" is out now so why dont you check out the product page! 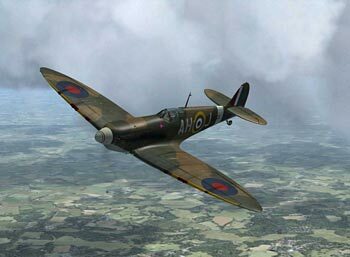 The iconic Spitfire. 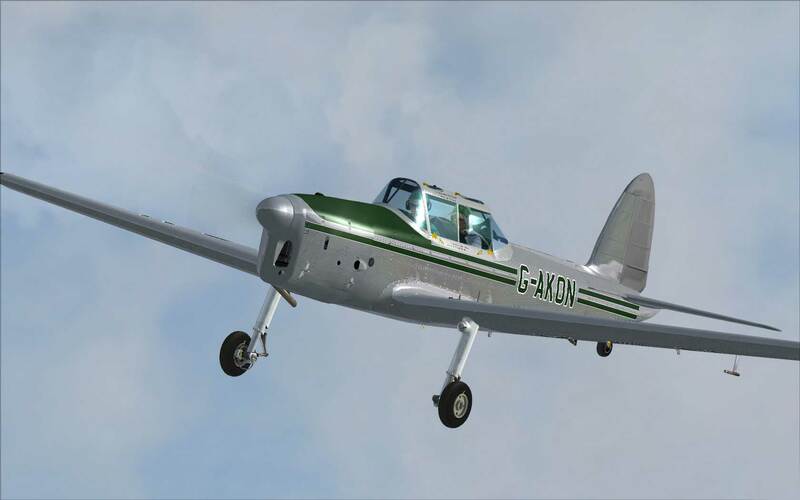 This is our version of the purest of it's form the Mk1-A.You can get yours at JustFlight by clicking here. 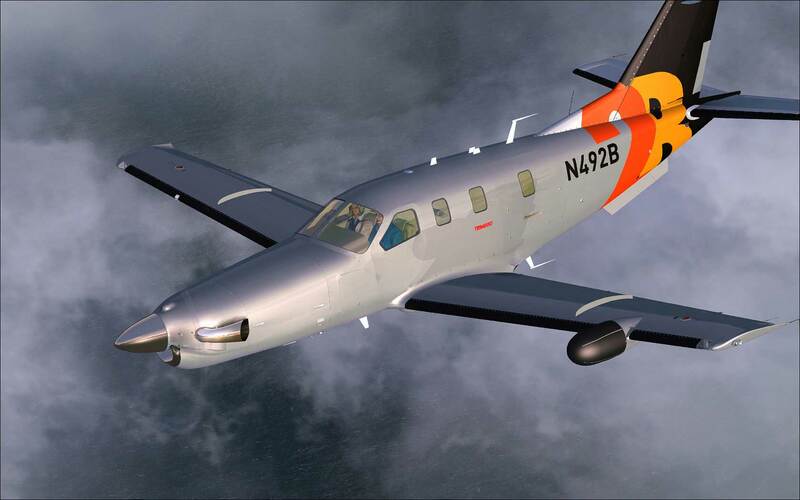 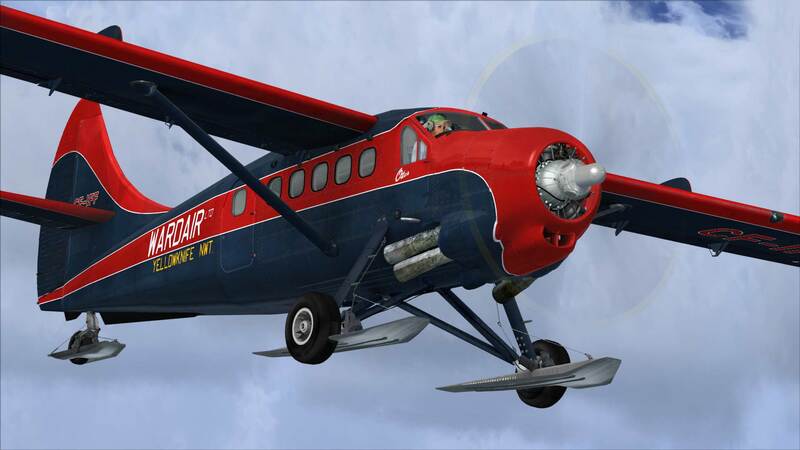 If you want to fly the King beaver then head over to the JustFlight product page. 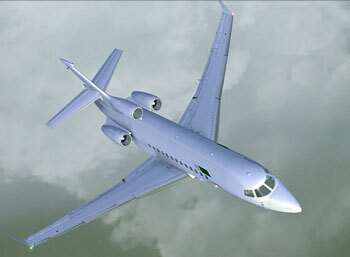 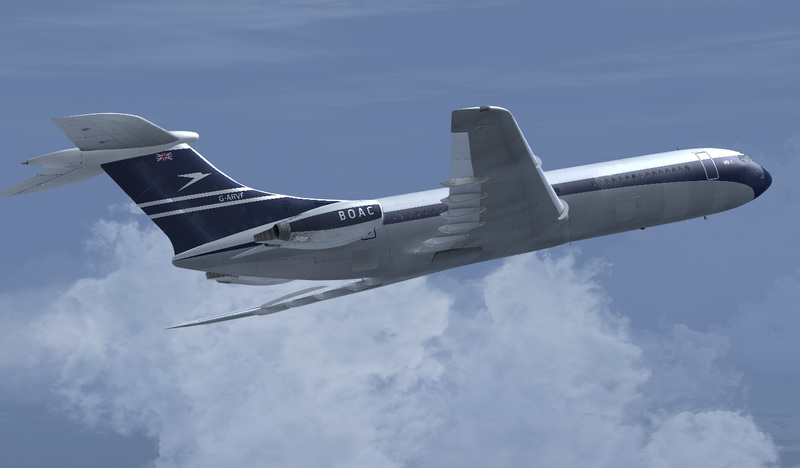 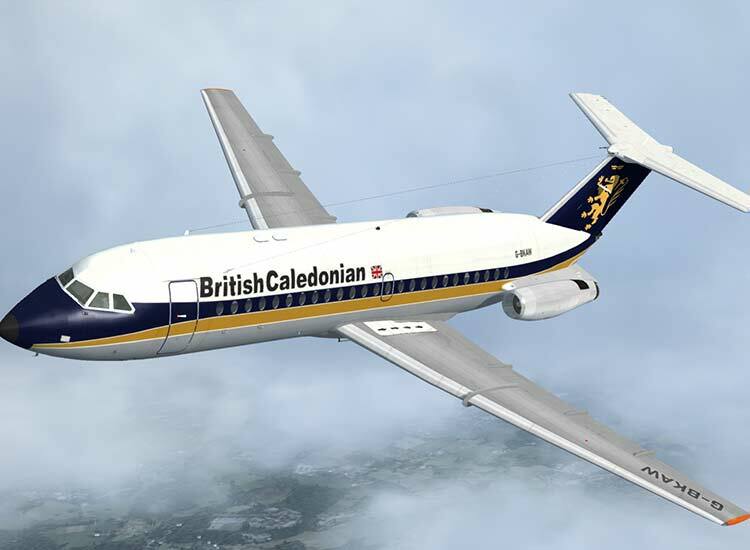 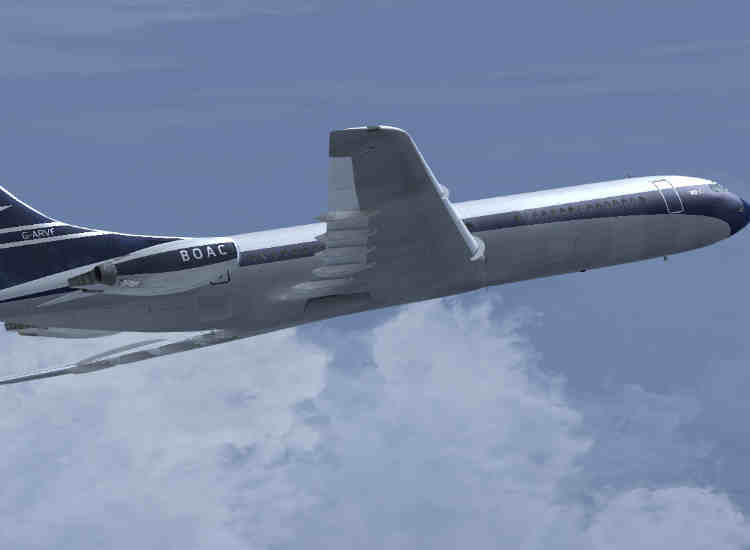 If you want to fly the legend, then head over to the JustFlight VC10 product page. 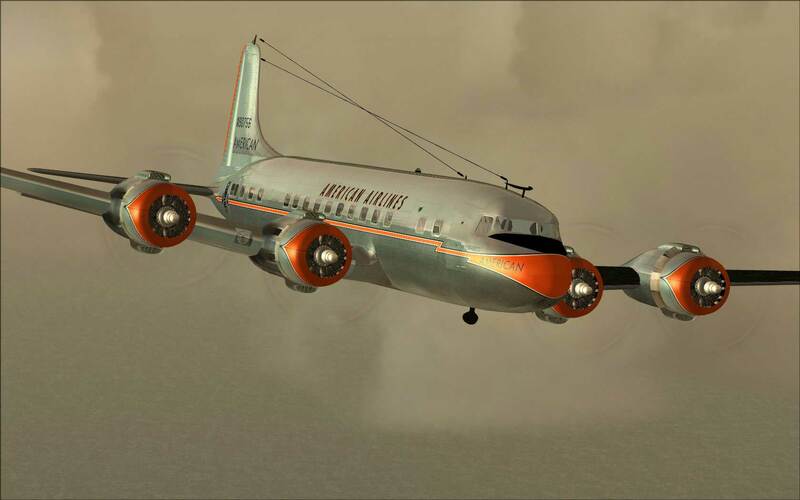 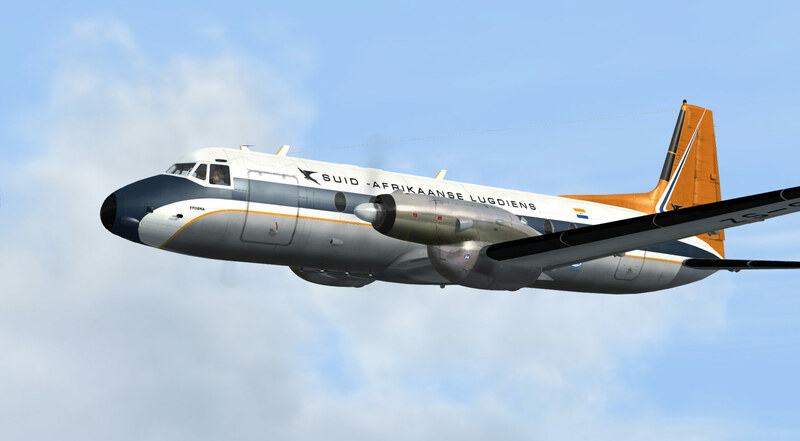 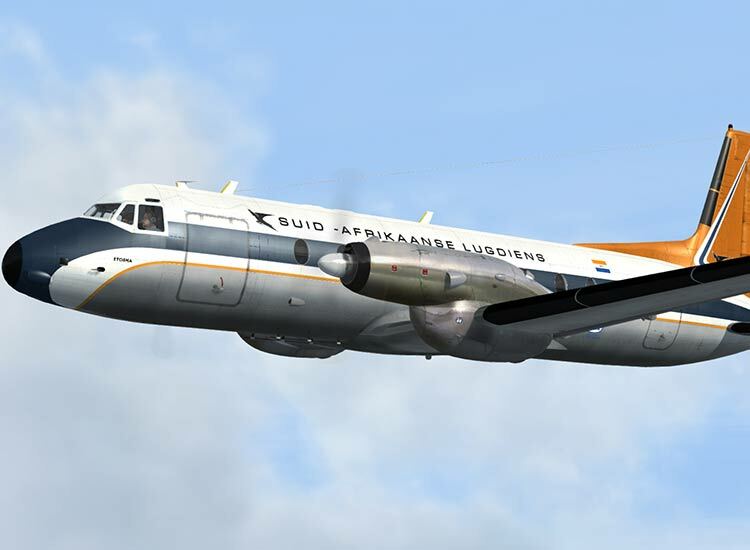 The C-46 Commando is available from Justflight on the C-46 product page. 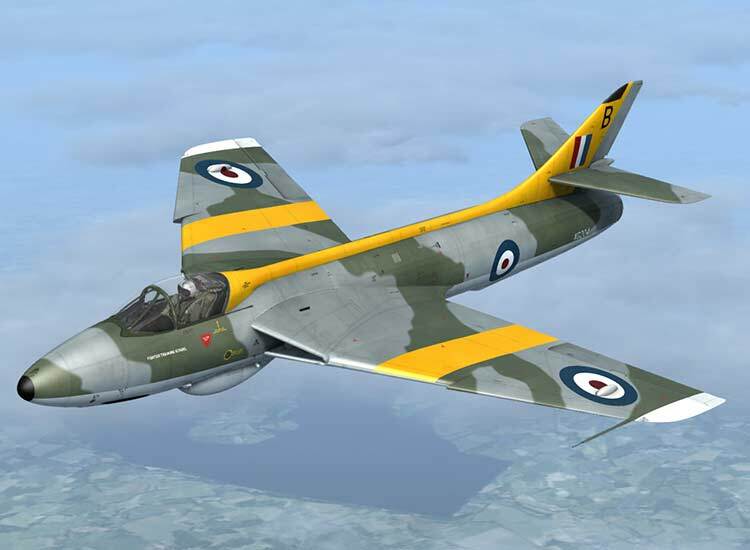 Just Flight have released the Hunter and you can get it here: product page. 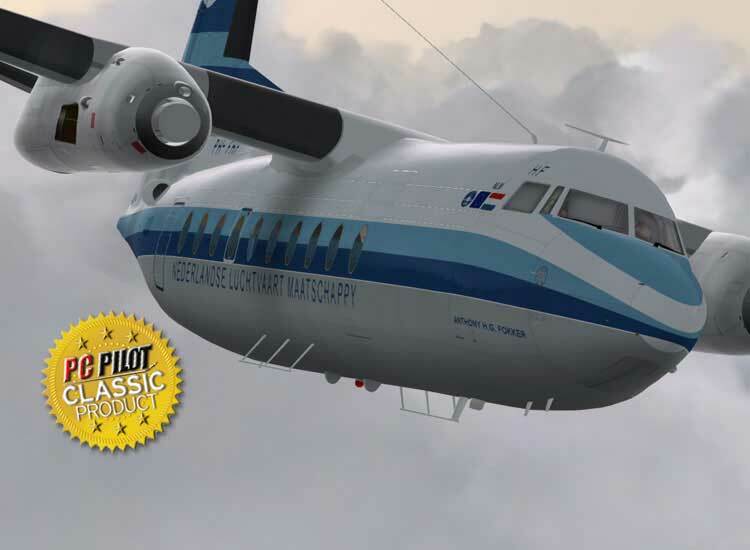 Just Flight have released the HS-748 and is available here: product page. 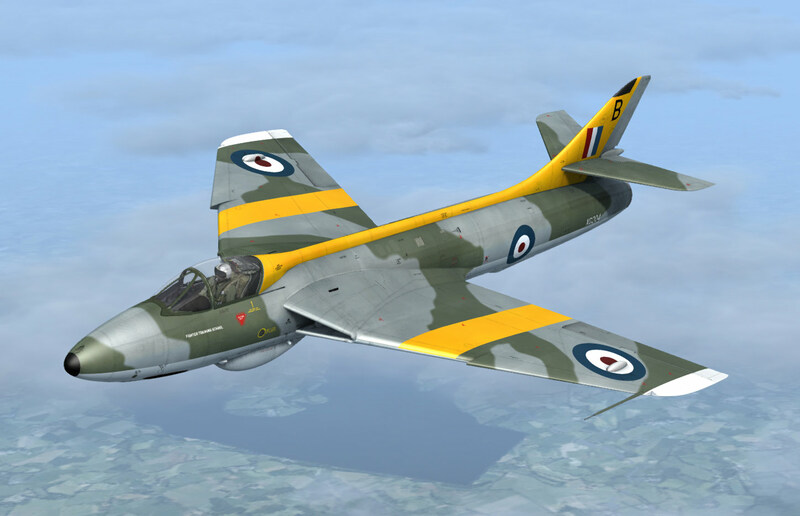 Just Flight have released the Gloster Meteor. 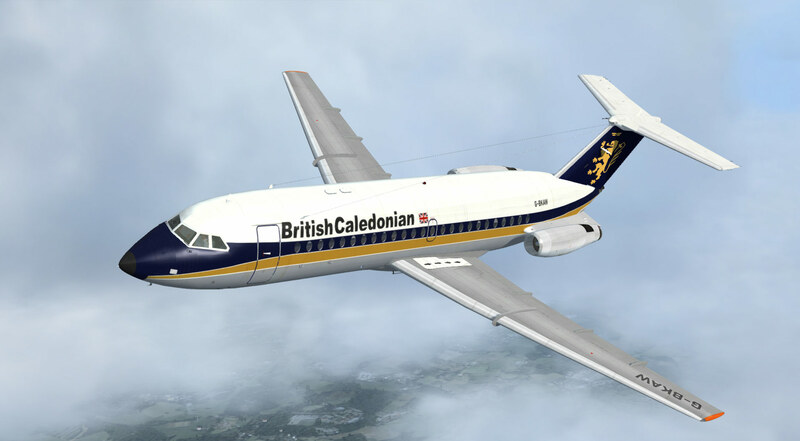 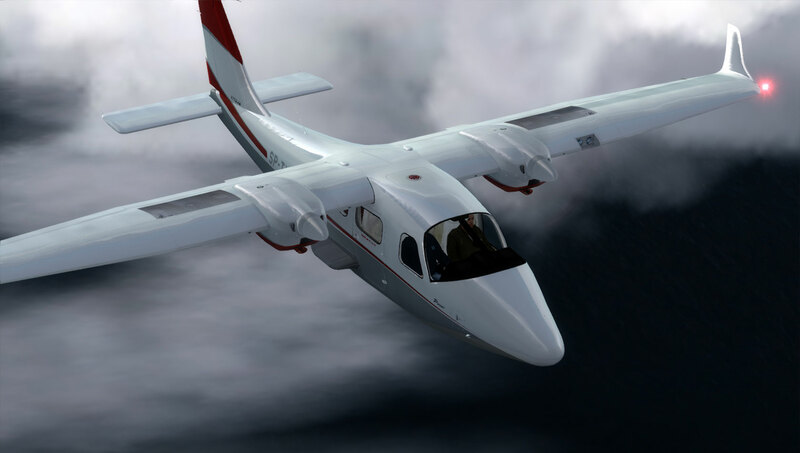 You can find out more at the JustFlight product page. 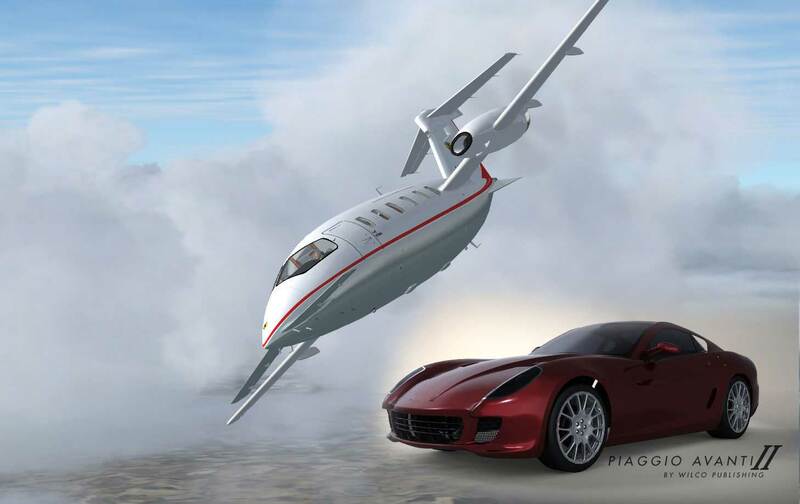 Just Flight have released the "One-Eleven". 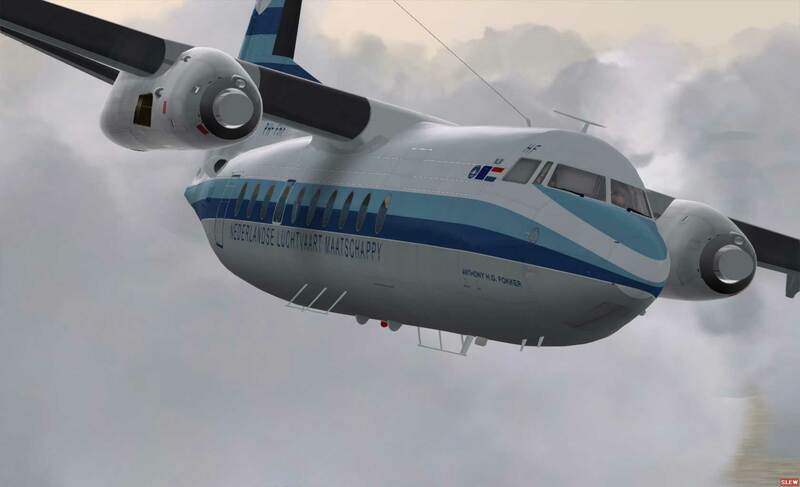 Be sure to check Justflight product page to find out more. 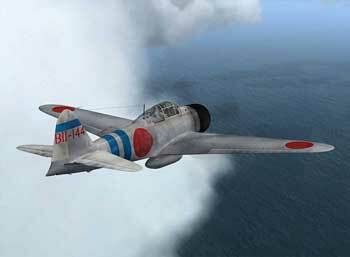 Just Flight have released the F4U-1 Corsair. 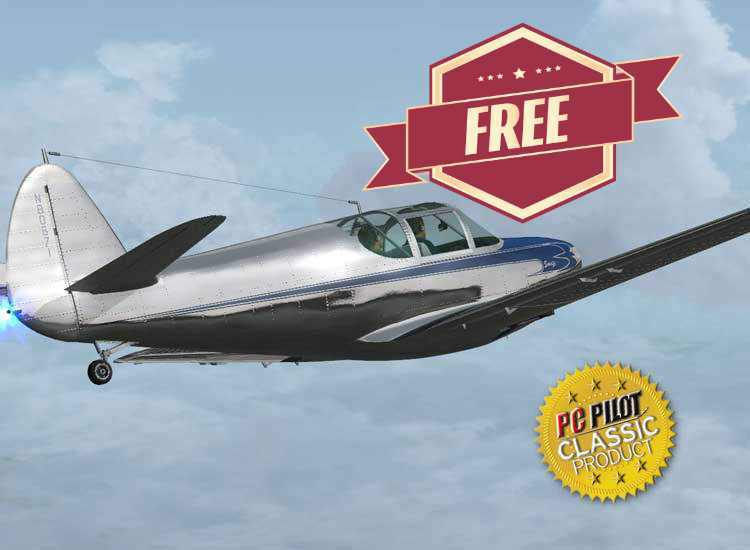 Be sure to check Justflight product page to find out more. 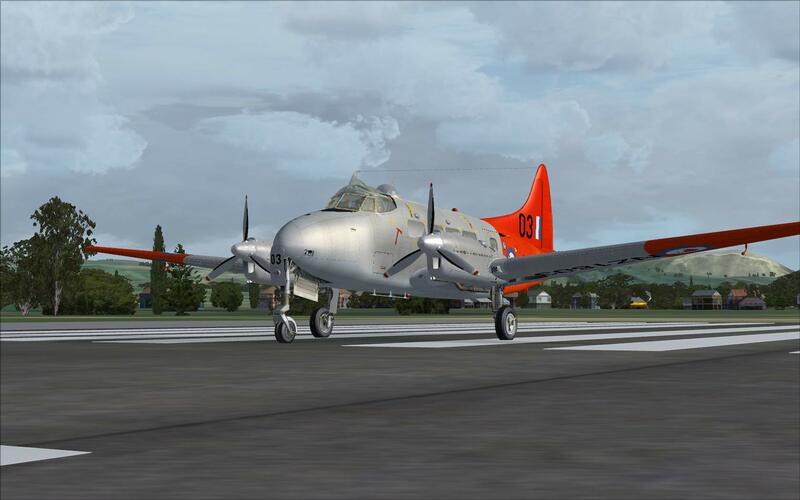 The Wooden Wonder - the deHavilland Mosquito has been released by Just Flight. 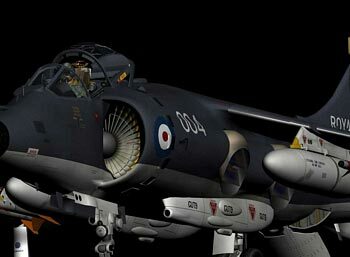 Available from their website. 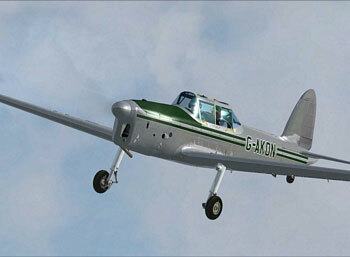 Just Flight have recently released the Dove/Devon series. 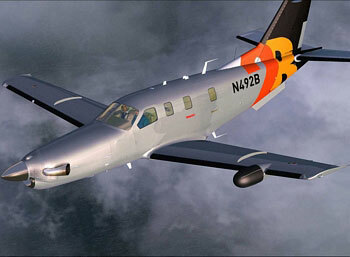 Available from their website. 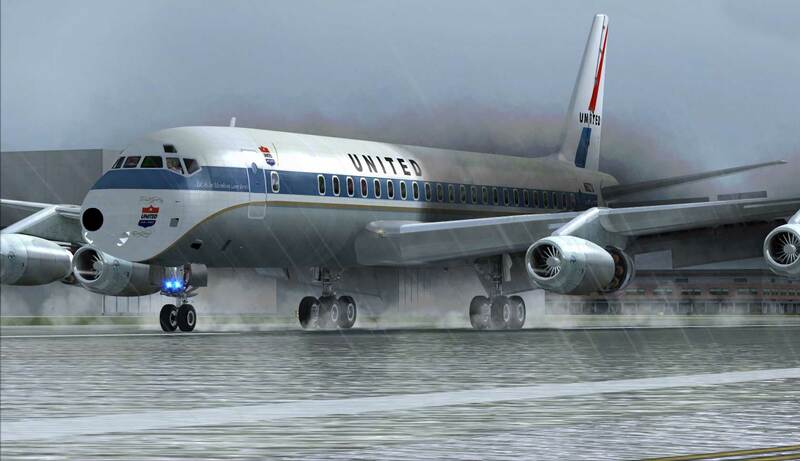 This is the aircraft that launched thousands of commercial pilot careers and has flown millions of air miles as a faithful workhorse. 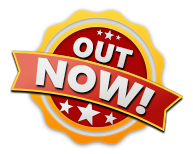 Available on steam. 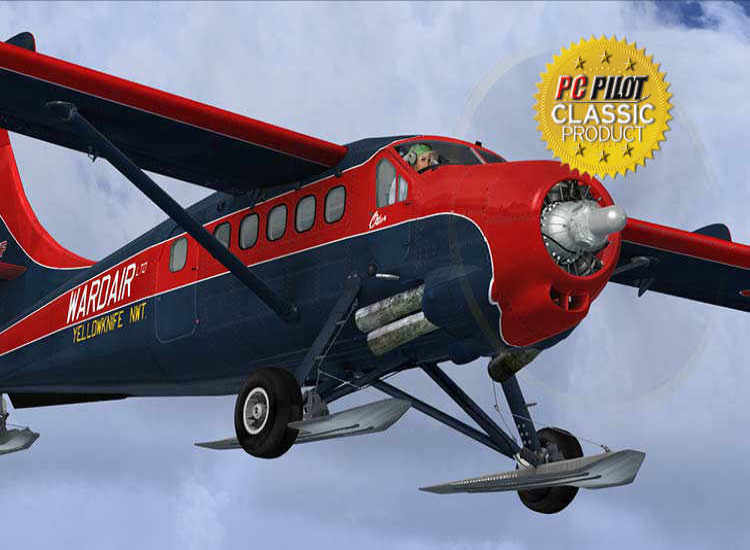 Bringing all the glamour and excitement of 1930s aviation to FSX and P3D this art deco beauty is now available from JustFlight. 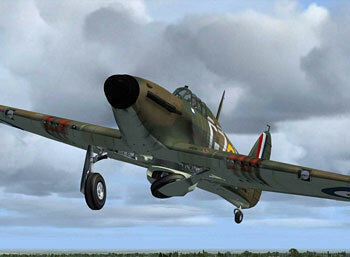 Friendship 100, 200 and 300 are represented in this release. 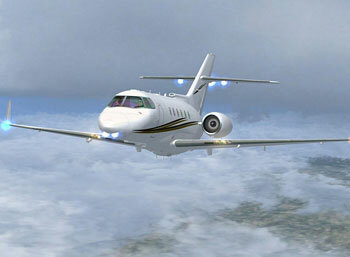 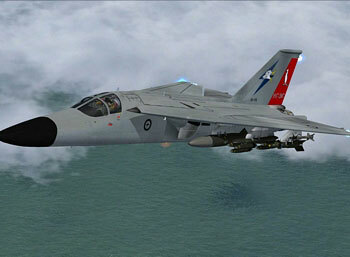 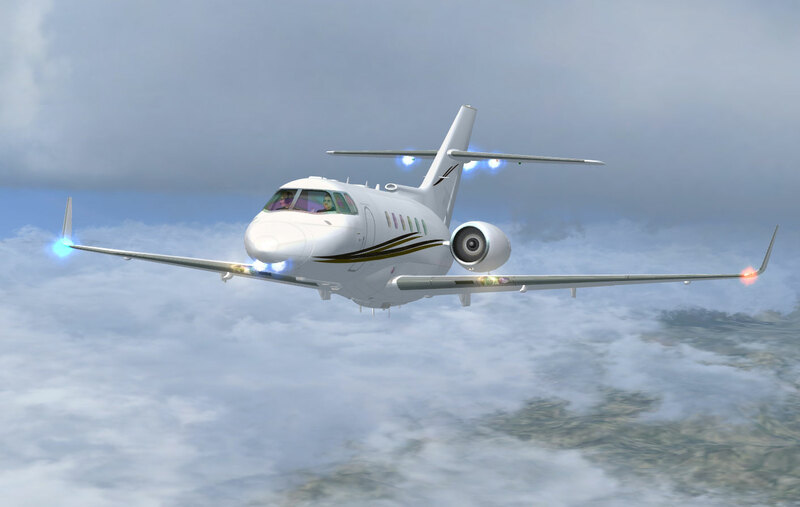 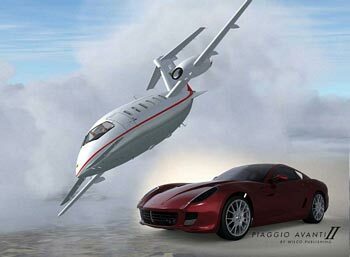 This package Available from JustFlight pays homage to the venerable twin jet turbine. 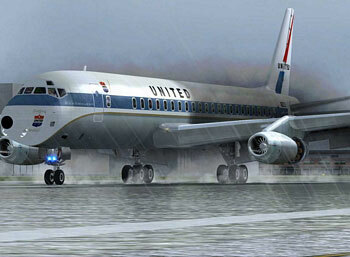 Extemely evocative of the romantic period of air travel both across the States and Internationally. 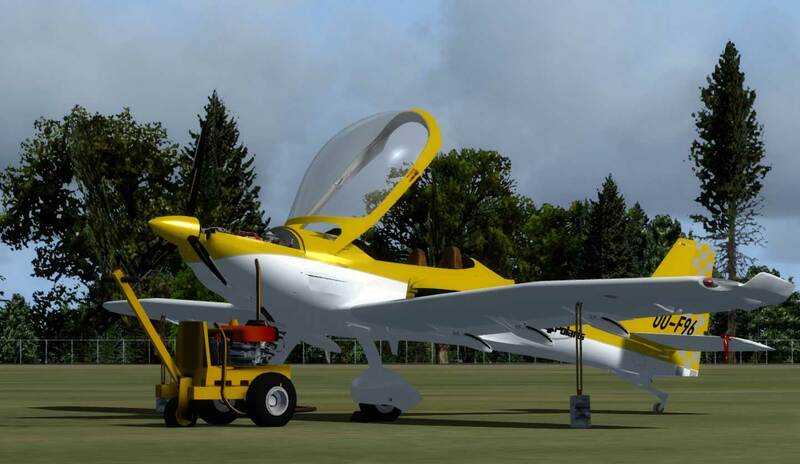 Even the latest “Red Bull”display aircraft is included.Available from JustFlight. 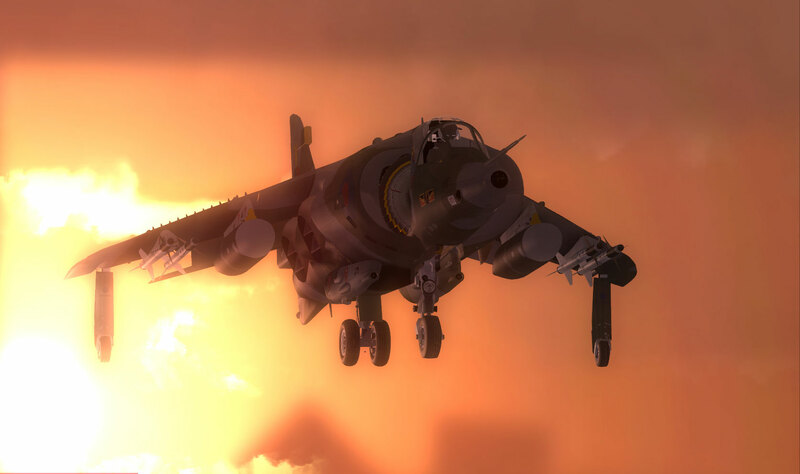 17470003 polygons have been pushed since 2002 - Only 8446 have been hurt.